TWPT: Did you choose which of the holidays that you were going to write about for this Llewellyn series? If so what was it that prompted you to choose Samhain? DR: Each of the authors pitched for the holidays they wanted to write - and of course, I think all of us put in a bid for Samhain! The reason I think I got it is because I had explicitly asked for Mabon, because I see Mabon and Samhain as intrinsically connected. Mabon at its emotional core is about sacrifice for the greater good; Samhain is about experiencing loss, facing our fear of the unknown, and the liminal spaces that spirit creates so we can peer into what goes on beyond the veil. TWPT: Tell me about the purpose of this series of books and what they hope to accomplish by covering the holidays individually with a book dedicated to each one. DR: That you might better ask Llewellyn editor Elysia Gallo* since it was her project, one she advocated for a few years. Llewellyn renews a few of its book series every so many years, and the Sabbats are one of the topics that they cycle through as Paganism grows and changes. It's my understanding that she wanted some fresh perspectives on these often rehashed subjects. For instance, unlike a lot of writers on Pagan topics, I do not identify as in any way Celtic nor do I identify as Scandinavian. I was happy for a chance to sneak in some bits about Slavic ancestry that is still relevant to Samhain, and a bit about days of the dead celebrated outside of a European context. As to a book dedicated to each one - again, that is a better question to ask the editor. I know part of it was because the books are small and easy "hand sales" in bookstores - they prop up by the register nicely, they are easy to fit in a handbag if you want to read about that holiday discretely and you don't have an e-reader, and they have pretty covers. Despite the lightweight appearance of each book, the history and lore sections are all rather dense - that might make a tough read all packed into one volume. *Elysia Gallo says, "I think Diana summed it up pretty well. We used to have a sabbat series that was in a larger format (like 7 1/2 x 9 1/8). Several of the books in that series went OP due to slow sales - not every holiday is as popular as Samhain and Yule! But we still had bookstores asking for the other books. Unfortunately, they were very dated, and they were all large as well, which means not only does the printing and shipping cost more, but the retail price is also much higher. I don't think too many people want to spend $20 for a book on one sabbat. So the conception was to make a series of much smaller (and cuter!) books, which means more people would perhaps grab it as an impulse purchase, and also that we could keep them in print indefinitely. The lower price point also makes it easier for metaphysical shops to stock the whole series year-round if they wish, because we know they operate on slim margins and cash is often tight. (Support your local metaphysical store if you're lucky enough to have one!) Anyway, once we had the conception of the size and the word count, we set out to create an outline every author in the series could follow, with target word counts per chapter, a full list of correspondences to be filled in, and so on. We all worked VERY hard - authors and editors alike - to make the series as consistent as possible, in spite of drawing together all these unique voices. Once a reader has one book in the series, they know more or less what to expect from the others. Reviews of the series overall have been very positive, and we're very proud and grateful for everyone's hard work on the project." TWPT: Was this a holiday that you were completely familiar with already or did you have to hit the books to research the background of the celebration and how it came down to us in the present day? DR: I was very familiar with Samhain, having celebrated it in one form or another since 1996. That said, doing deep research helped me unlearn quite a few things. For instance, the sometimes maligned practice of trick-or-treating is associated with Paganism but is really Christian in origin. People went door to door "mumming" and collecting alms for the poor/food/etc. in a way that blended the Christian and the Pagan. When trick-or-treating came to the fore in the US, it was a civic solution to the excessive costs of vandalism. Many of the practices we assume were Pagan were Christian, and many of those that appeared Christian - for instance, crosses over children's beds to protect them from fairy theft - were Pagan in origin. Writing this book did help me understand better the ways Samhain held a subliminal importance in my childhood, as Poland has an All Saints Day and an All Ancestors day - and not all ancestors were exactly saints. I was raised at cross cultures, with the White Anglo Saxon Protestant mother's culture having most say and final decisions, and this meant a lot of aspects of my father's Polish culture went unspoken, undiscussed, or unexplained. Much of what brought me to Wicca in the late 90s was an awareness of that piece of myself that had been obscured by my upbringing. Writing this book did help me understand a lot of my father's superstitions and habits and a few things I have done by instinct all my life. TWPT: What was the most interesting point that you found out about Samhain while researching the book that you didn't already know? DR: There were many, more than I was able to include within the text of the book - and I really tried to pack it in! I think personally the information about the Slavic Dziadys (seasonal holidays) interested me most, because even though it very much aligns with the Celtic fire festivals it is its own thing and as a person of Slavic heritage it resonates far more than the mainstream Sabbat fare. There was a very practical, non-superstitious relationship with the dead I don't really see in other European cultures that may explain why so many are comfortable with the idea of the Catholic concept of Purgatory. The idea that the dead aren't perfect and they aren't monsters, they're just people that happen to be dead and that they might need advice from the living sometimes, is comforting and suited to my temperament. I was also fascinated by the way the Irish brought Halloween to the United States, and how it was originally used as part of an elaborate community mating dance. A lot of kale went to determining people's future happiness! TWPT: Why is it important that those who have chosen this path to walk should be familiar with the various celebrations that constitute the Wheel of the Year? DR: I don't necessarily think that it is. If they are walking an individuated path, or walking a one not Celtic-centric, the Sabbats may be far less relevant than say, the Feast of Hecate or the Day of the Dead celebrated on the date/in the season that their own ancestors celebrated it. For instance, ancient Rome had a day of the dead celebrated in February; the Aztecs celebrated their version in July. We often mistakenly assume that the 8 wheel Sabbat spoke is the only circle in Paganism, or that the circle is the only shape. Paganism is a lot bigger and more diverse than that. 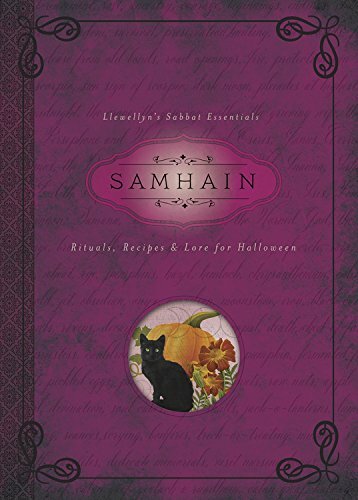 TWPT: After researching Samhain for this book why do you think that it has been singled out over the years as being more evil and something to be fought against than the other celebrations on the Wheel of the year like Ostara or Beltane or Yule? DR: Simply put: visibility. The traditions brought to the United States at least came from Irish Catholic populations, who were at the time they came over viewed with a great deal of prejudice. It's entirely too easy to look at a group you view with contempt and assume everything they do is evil or suspicious. The second reason may well be jealousy: Halloween managed to get out of the church's grasp, even though it was one of the first holidays co-opted by Pope Gregory around the 5th century. Its secularization is really remarkable, especially given the spiritual depth of its origins. Nowadays, the fear/disgust directed by the aggressively Christian is all about marketing: convince people the world is evil the moment any happiness or comfort appears, keep butts in the pews. It also seems like a lot of so-called spiritual people, Christian, Pagan, or whatever just plain hate fun and think that enjoyment of something less than lofty is aspiritual. They're wrong, but telling them that won't do much good. TWPT: What was it that you wanted your readers to walk away with after reading through your book about Samhain? DR: I wanted to take something most probably already knew and widen that universe a little. Most of us these days are very prone to confirmation bias. We want to see what we already know, we feel safe when it's repeated to us, and we get angry, uncomfortable, and even locked in denial when new information might force us to go back and rethink or research our assumptions. This seems true on even seemingly inane subjects, which has led to near flame wars over silly subjects such as whether curry is a plant or a spice mix (it's both.) I've loved research since I was a teenager, and I can't count the number of times I've changed a strongly held opinion because of my research (though like most of us, I've gotten too lax as I've aged.) This book doesn't upend assumptions, it just acknowledges them and then broadens the perspective - which I hope will open people to more creativity in their own celebrations. TWPT: Did you have fun researching and writing this book? What did you find challenging and what did you find fun? DR: This book was an enormous amount of fun to write. I got to practice lateral thinking, dig into really old manuscripts, and brush up my Google Scholar-fu. My challenge was less in the source material and more in my life circumstances at the time of production. My partner had gotten a job offer in California, so I was in the middle of doing the final work on this book and the Mabon book after a mishap-filled Minnesota winter. I have already declared I will NOT write two books in a year again. If an opportunity to relocate cross-country comes up again, I am going to snowbird! TWPT: As with any research I'm sure there were probably things that ended up in the book and things that while interesting just didn't make the final cut to be included in the book. Were there any interesting tidbits that you found about Samhain that did not make it into the final draft of your book? DR: There were a lot of old "fairy" practices from the UK that became US southern magic/hoodoo conjure superstitions and adoptions. There just wasn't a lot of room for the cross-referencing between Celtic practices/lore and US folklore collections but when I dug through Google books and Google scholar, the traditions often matched exactly even though the attributed origins were wildly different. Since much of the US South was settled by English farmers/religious folks, the cultural cross-pollination between them and the slaves they dragged along is ignored to a suspicious degree. More will be written on this subject by someone, I'm sure - the way the influences shifted back and forth are impossible to ignore once you spot them. One of the first Halloween lore pieces I knew as a child, "Little Orphant Annie" by James Whitcomb Riley, is a complex, racist social expression of superstitions and lore of the 19th century. It's a delicate area that we need to dig through and dig past to find out where all of it came from and how it became so anchored in Southern and Midwestern US psyches. At this point, I am to some degree speculating - real research might change my opinions about influences and the directions they lay completely. TWPT: With any book that covers a span of time such as the history of Samhain checking the facts had to take some time in the final edits of the book. Did you have help proofing or was there an editor at Llewellyn that helped you to go over the drafts making sure everything lined up? 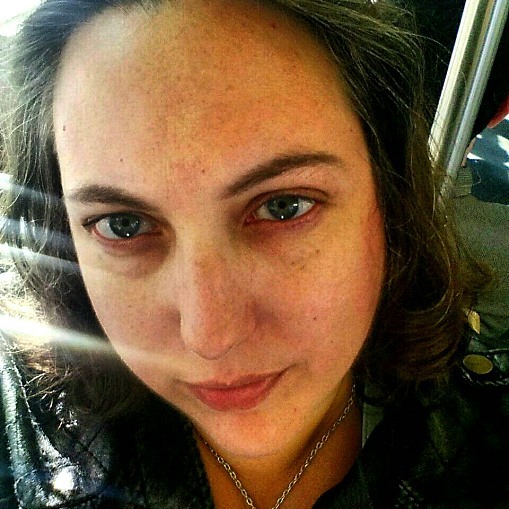 DR: Elysia Gallo is an absolute STICKLER for fact-checking. I went over the manuscript several times and there was nary a fact that went without citation. TWPT: This book came out in September of 2015. Plenty of time to get a good feedback from your readers as to how they liked it. What kinds of responses did you get from your readers as to the material you presented in this book? DR: I subscribe to the philosophy that feedback before you publish is supremely important, reviews after you publish are best ignored. (I give a major caveat for fact checking and correction since that never ends, and sometimes even historical facts change depending on what archaeologists excavate this week.) While I can tell from cursory glances at the Amazon page that the book appears well-received, digging down into those reviews is bad for the next book. People project a lot onto authors and Paganism is, on its best day, a cult of pseudo-celebrity. I'd rather just write something I'm passionate about and hope someone "gets it" than spend my time looking at reviews of books I've completed. TWPT: How did you feel about the book when it was finished? Was it everything that you had hoped it would be when you started the project? DR: When I was done with the book I felt both pride and relief. I did the best job I possibly could while being carted cross-country more or less as I typed. I also learned some publishing-reality lessons about branding. Samhain is a Llewellyn book; my past book, Divorcing a Real Witch, is a Diana Rajchel book. They are different in both structure and branding, based on the purposes of the publisher. When I see it sitting on bookshelves I do get a small, bouncy feeling of pride because I made that! TWPT: And finally are there any other thoughts you'd like to share about your book Samhain that I didn't touch on? Any plans for celebrating Samhain 2016? DR: I am answering this while harboring a vicious cold that I am hoping is recovered by the time Samhain approaches in (yikes!) 9 days. For me it is a month-long celebration, and usually it involves something along the lines of a Dziady. I serve friends and family a Polish meal, and after the dishes are cleared and everyone goes to bed, I sit at the dining room table with my dear departed, I drink a few shots of mead or sherry, and we have a good talk, most of which I don't remember. (It is strong sherry.) I lost my best friend in February unexpectedly, and I am setting a place especially for him this year. We have a lot of talking to do. I would like to mention that I am in progress on a book on Urban Magic with Llewellyn that will be coming out in 2017. I am focusing on the interaction between urban design, land spirit and city spirit in ways not previously explored. TWPT: Thank you for taking the time to answer these questions and I do hope you reover enough to enjoy the upcoming Samhain holiday. We'll be looking for your next book next year and it will be listed on the 2017 new releases page when I have more information about when it will be coming out. I appreciate your efforts on this interview. Blessings.